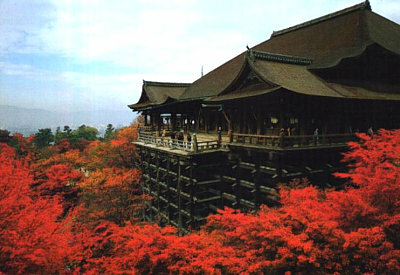 Kyoto - Good Japan - Reliable Travel Information on Japan, Photos, Videos, Popular Destinations - Visit Japan. Capital of Japan and house of imperial residence, from 794 to 1868, the current population is 1.5 million and is the seventh largest city in Japan. Having an enclosed environment of mountains on three sides, this interior positioning results in hot summers and cold winters, at the same time, creating a distinct seasonal ambience throughout the year. The historical, cultural and social significance of the city is not above transient beliefs, as continual urban development has made inroads within the city landscape. 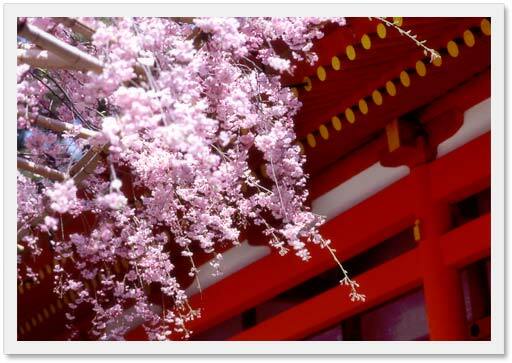 Having a history of over millennia with thousands of historical monuments and architecture reminiscent throughout Japan, however the modern day developments make this city an important icon of symbolism toward the people of Japan. 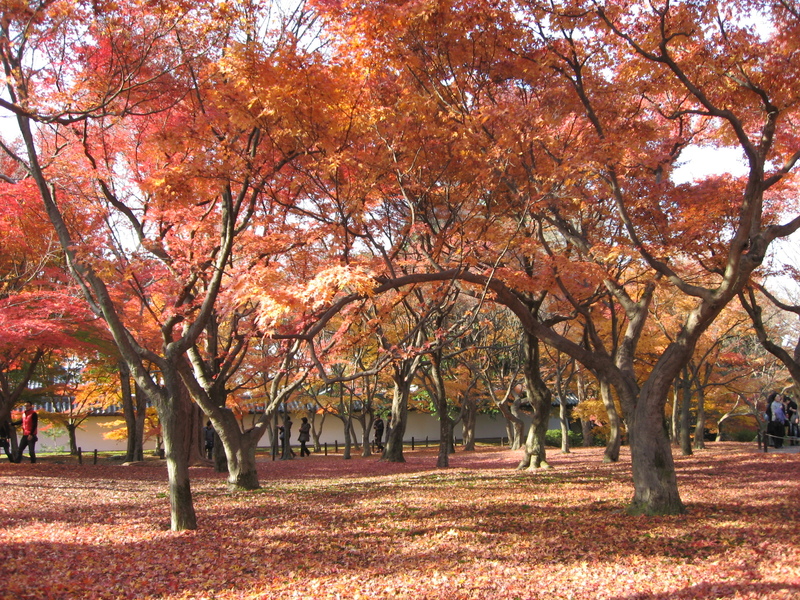 The imperial citadel for over one millennia, the coronations of the emperor Taisho, and Showa was also held in the main hall of this vast complex of consisting of halls, gardens and gates, enclosed in a system of walls. 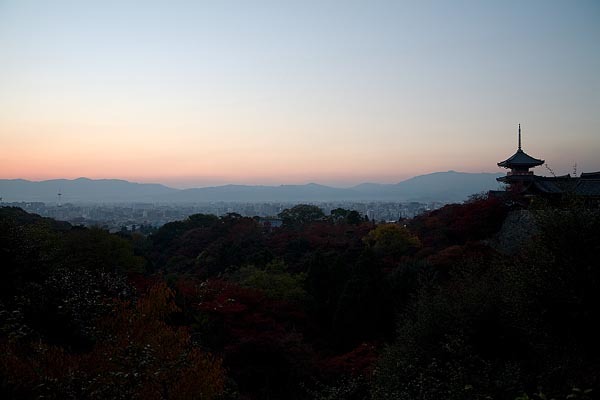 As Japanese history is filled with tumultuous moments, the imperial palace has on numerous occasions been burned down, and moved elsewhere throughout Kyoto. 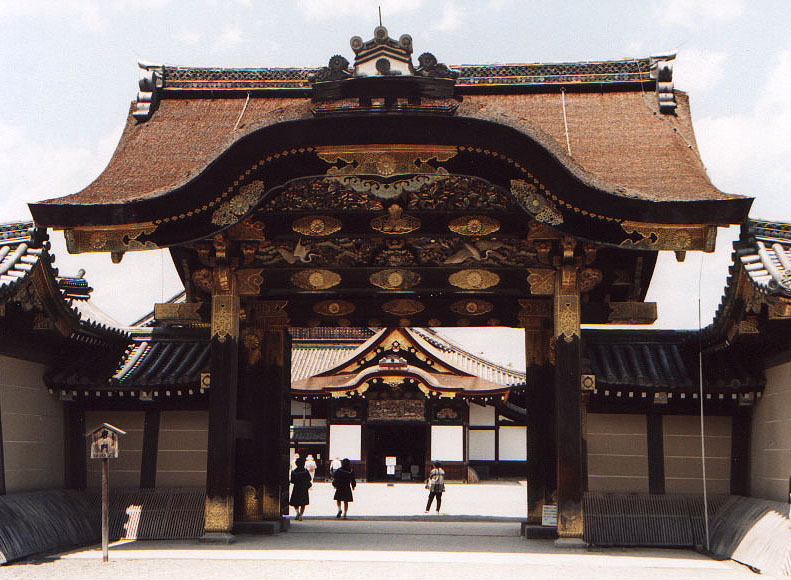 Constructed as the Kyoto residence for the Edo shogunate, and completed in 1603. Famous for its Momoyama architecture, garnished sliding doors and floors that squeaks like nightingales when someone walks on them. Constructed a few years after the retirement villa of Shogun Ashikaga Yoshimasa was built, its design was modeled after the Kinkakuji (golden pavilion). 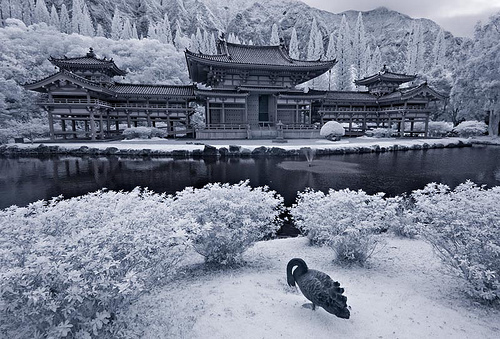 Although known as the silver pavilion, the plans to cover the pavilion in silver were never realized. Lying between the Yasaka shrine and shinjo Avenue, amidst the city center of Kyoto, Gion is renowned for its architectural styles, traditional night life, and is prominently most famed as a geisha district. 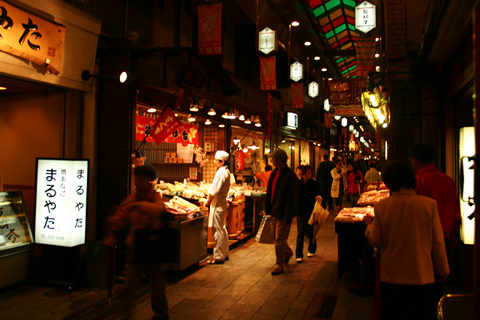 Immersed in a reminiscent atmosphere of culture and traditions, the narrow streets and traditional wooden machiya style merchant houses, a design typical for Kyoto and its history, there are numerous restaurants, ochaya teahouses, theatres and shops throughout this district. 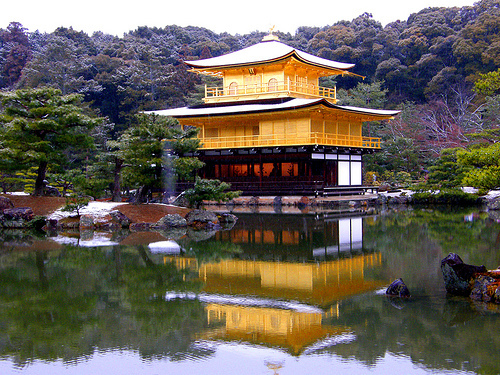 A Zen temple constructed by Asikage Yoshimitsu, for his retirement villa in 1408, the top two floors are covered entirely of golden leaf. Each floor is a different architectural style, that encompasses the three major cultural dimensions that embodies itself throughout Japanese society (from bottom, up; Heian, Bukke, and Zen). 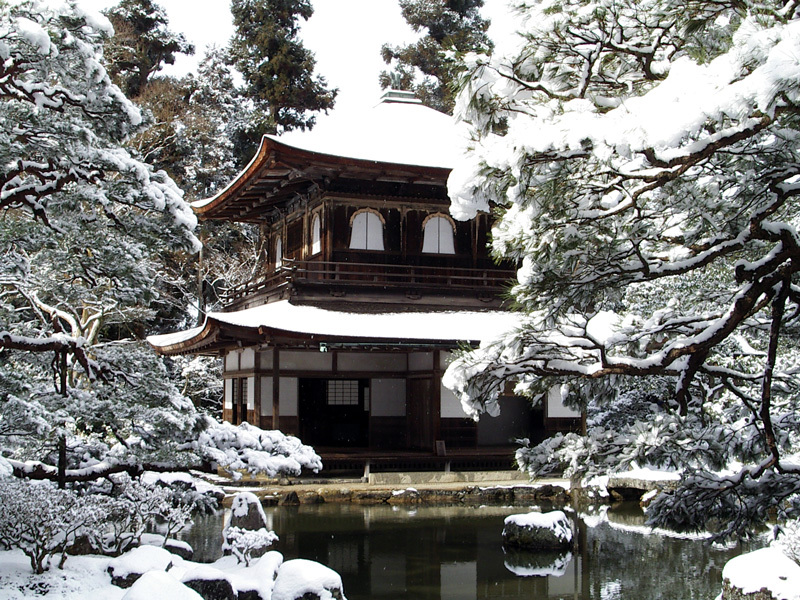 A Zen temple located in northwestern Kyoto, the main attraction been the rock garden, the most renowned of its kind in Japan. 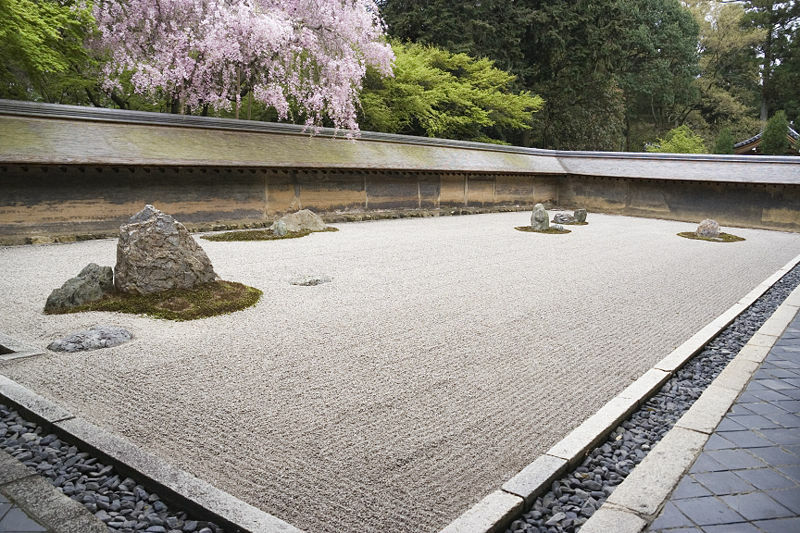 The simplicity of the gardens arrangements, be it rocks, moss and the neatly raked gravel, appeals directly to the ideals of Zen traditions. However the meaning is ambiguous and up to the individual to access. The imperial villa was built between 1655 and 1659, by the Emperor Gomizuno, consisting of three distinct areas, Upper, Middle, and Lower villa's each featuring characteristics of the traditional imperial style. A temple enmeshed within a tranquil antiquity, in which over one-hundred different varieties of moss permeate throughout this ancient garden. 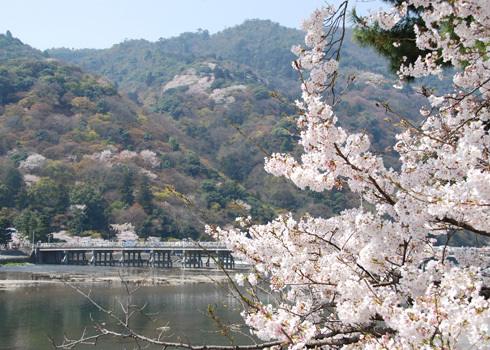 A district encroached by the forested mountain of Arashiyama, it contains many attractions such as the togetsukyo bridge which is entirely made of wood, and numerous shops, cafes and restaurants, throughout the district center. 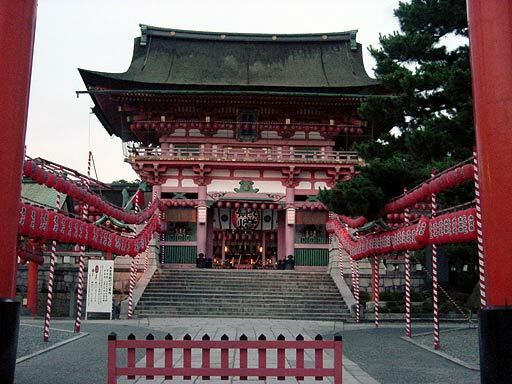 The most famous Shinto shrine that is dedicated to Inari, the patron kami of rice, prosperity and foxes, out of the several thousand other Inari shrines around Japan. 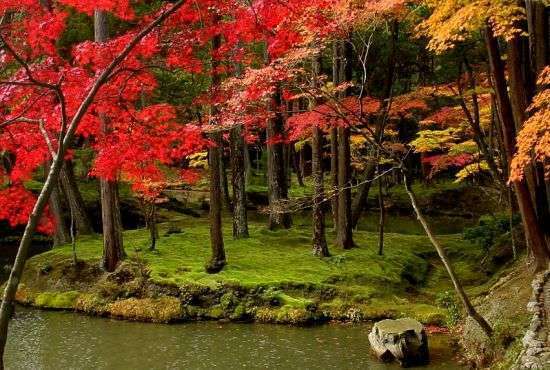 Considered to be the most beautiful pure land gardens in Japan, its is a garden type that is scarce in number, and was popular during the Heian period. 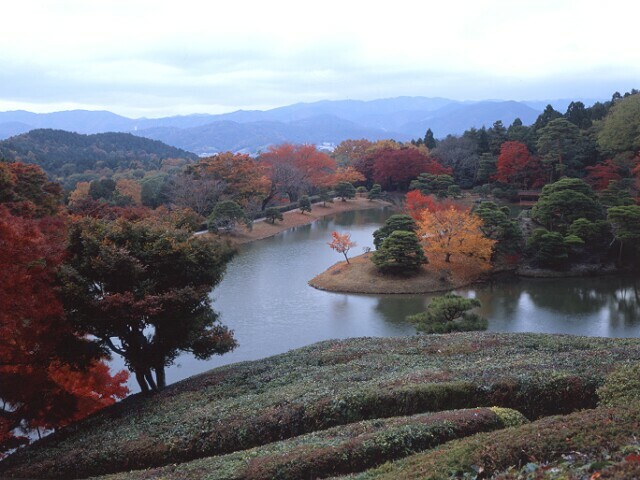 Famous for the magnificent autumn colors, the principal Zen temple of Tofukuji, is located, southeast of Kyoto. Enclosing numerous rock gardens within the cloisters of its walls, the temple gives a sense of serene tranquility during the autumn months, as the weather becomes chilled and maple trees begin to wither as winter approaches.